is to promote motorcycle awareness among drivers of other vehicles. 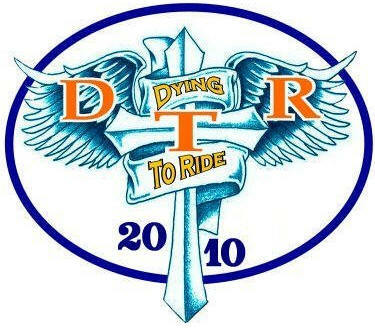 In 2011, Dying to Ride became an International motorcycle awareness Group forming a board of directors to oversee the operations. Each year on the second Saturday of June, Dying to Ride holds a memorial ride for fallen riders. This ride, makes a stop at the scene of Rob's accident and a memorial naming each fallen rider on the memorial list is held. Then the ride continues to a campground for a night of celebrating the lives of our fallen riders. Dying to Ride is always looking for new members. It costs you nothing to be a member, as our slogan says, the only responsibility is to spread motorcycle awareness. You can do this by passing our awareness posters http://dyingtoride.org/posters.htm on your Facebook page and other social medias, email or any way you can pass them on. Its that simple.